In my opinion, everyone needs some burlap pillows. Add on some stenciled designs and you have custom pillows in minutes for any room in your home. Plus they are easy to make! Follow along below to see how. This is a part of burlap week where we are sharing 15 minute burlap crafts every day. You can catch up with day 1 and day 2 and also scroll to the bottom of this post for today’s ideas from our blog partners. 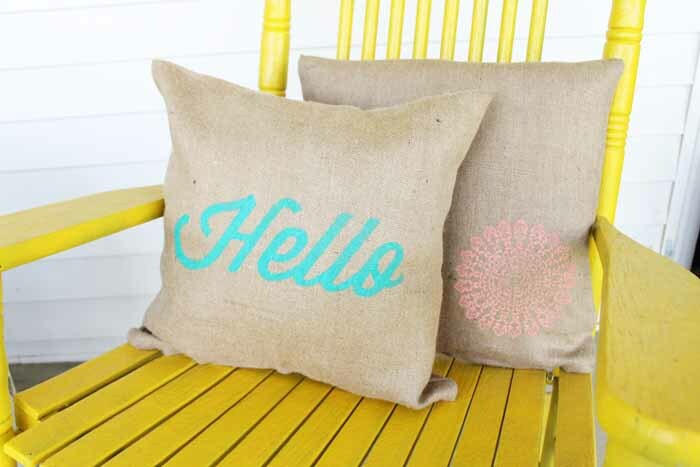 Start with the video below which shows just how to stencil on these burlap pillows. Be sure to iron the burlap pillow covers to remove any wrinkles. Then insert scrap paper or cardboard into the pillow cover to protect the back if any paint seeps through. Now it is time to work on your stencil. Turn it over to the back side. Spray well with a stencil adhesive and allow to dry completely. Once dry, press down the stencil down well into place on your pillow cover. Load up your sponge pouncer brush with your outdoor paint. NOTE: You can use an indoor paint or even fabric ink if you are going to be using these pillows inside. Then paint over the stencil making sure that all areas are covered with paint. You may have to go over some areas twice. Peel back stencil immediately to reveal your design. For some stencils, you may want to use a regular paint brush at this point to fill in some of the stencil lines. This is especially true of words or letters. Allow the paint to dry completely. You may have to heat set with an iron at this point depending on the paint you purchased. Remove the scrap paper from the inside of the pillow cover and add in an outdoor pillow form. 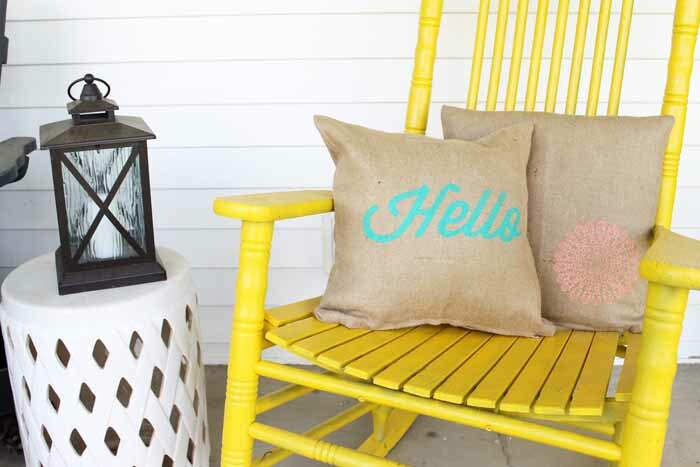 Then just add your burlap pillows to your outdoor decor! You will love the look of these custom pillows that you can make in just minutes. What stencil will you add to your pillows? 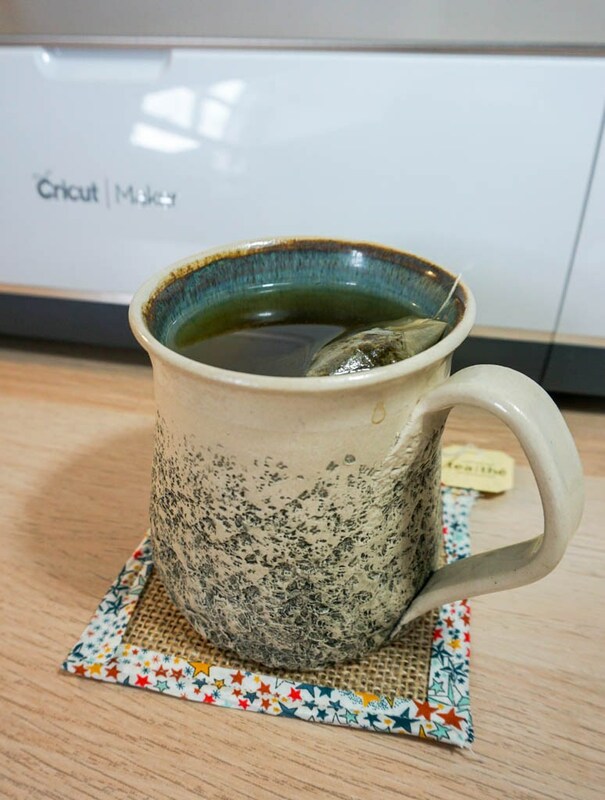 Did you know that you can make custom stencils with your Cricut machine to really amp up the possibilities? You can! See how here! 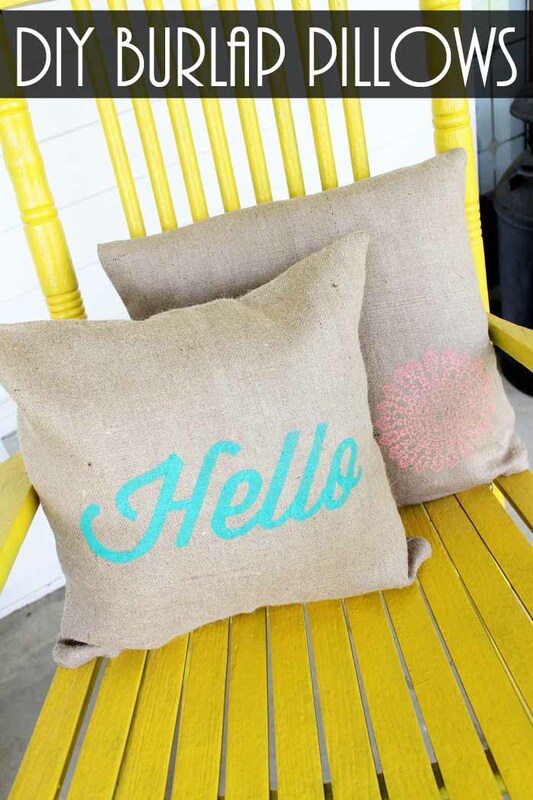 Love these burlap pillows and want more ideas? Try the links below! 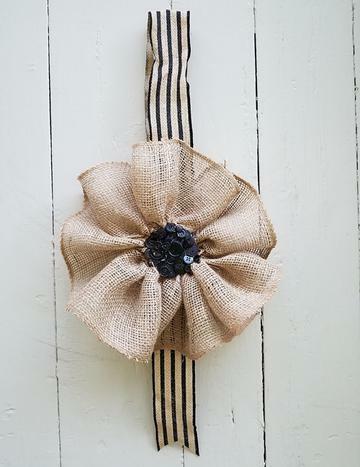 Want to add a touch of burlap to your front door? Try this flower burlap banner from Debra Quartermain. 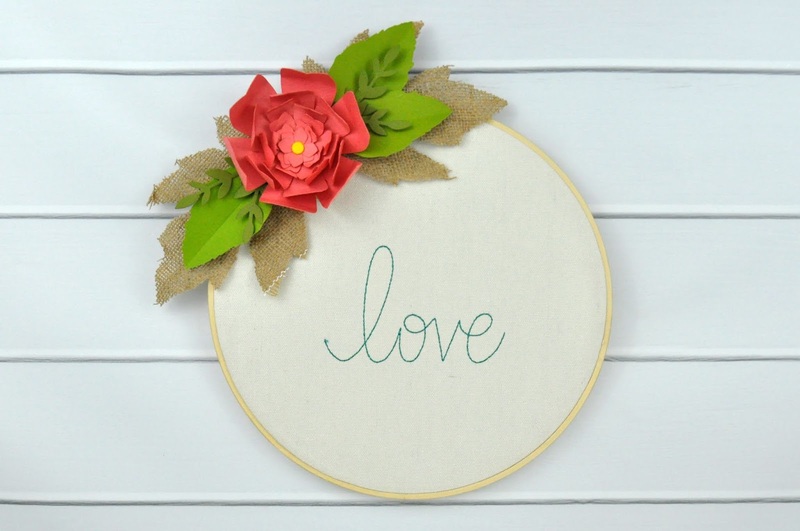 You can also add a touch of burlap to some hoop art with this project from Jen Gallacher. Everyone needs some burlap coasters like these from Albion Gould. 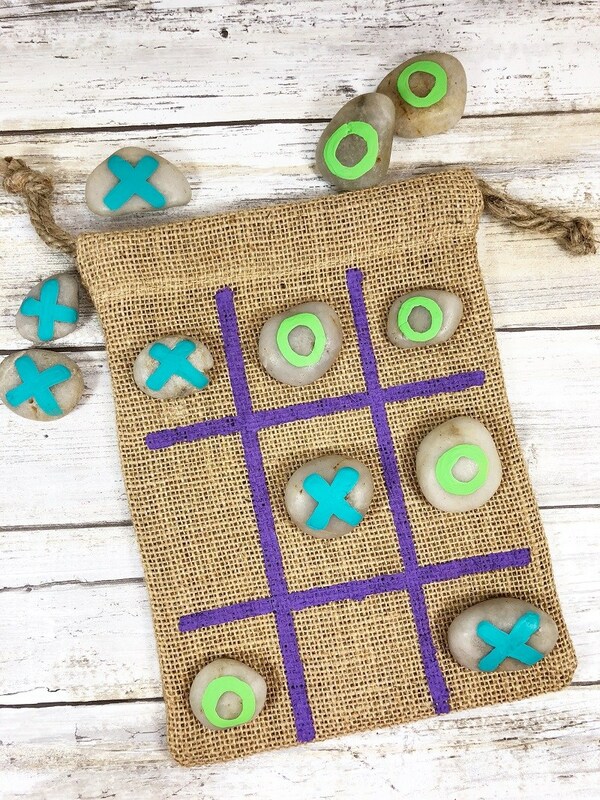 Our guest co-hostess this time around is Creatively Beth and she made this adorable tic tac toe rock game. Need to give a gift? 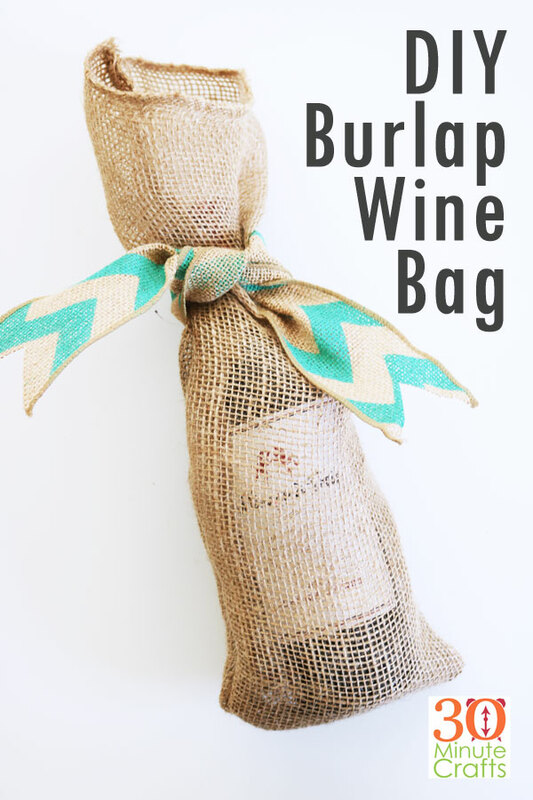 Whip up this burlap wine bag from my co-hostess 30 Minute Crafts. Want a touch of burlap in your decor? 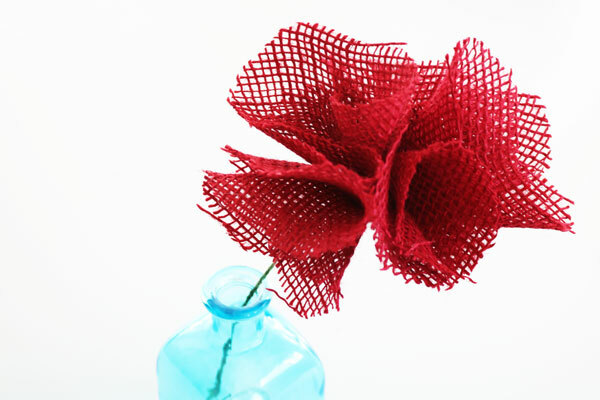 30 Minute Crafts also has these cute burlap flowers that you can make in minutes. 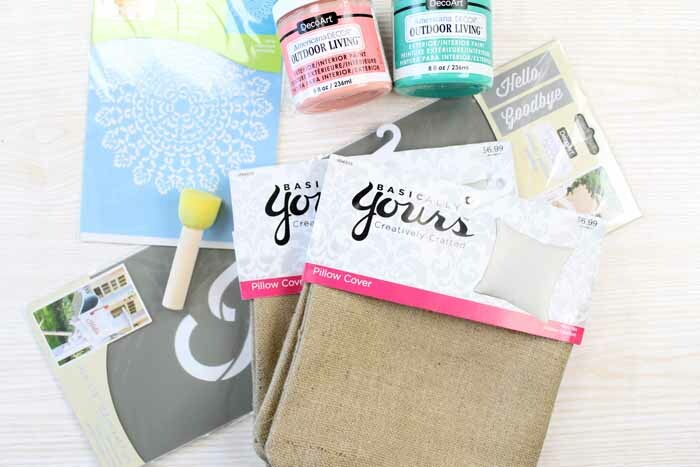 So, whether you make burlap pillows or one of these other crafts, you might just be surprised at everything this fabric can do! 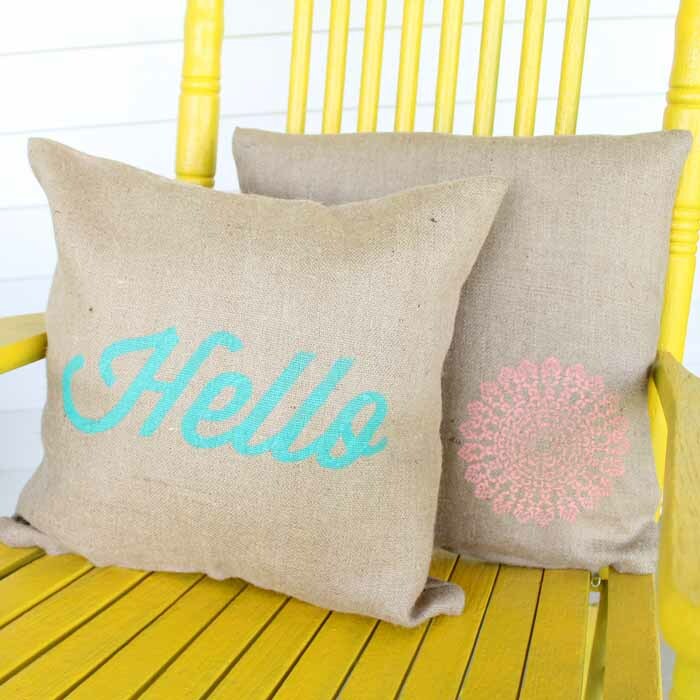 These burlap stenciled pillows are perfect for my wicker chair, I love them! !